· Prevents dandruff, split hair and hair fall. · Helps to grow hair and makes hair black and silky. We introduce ourselves as one of the progressive manufacturers with potential and dynamic field and we are successful in satisfying the requirement of our consumers. 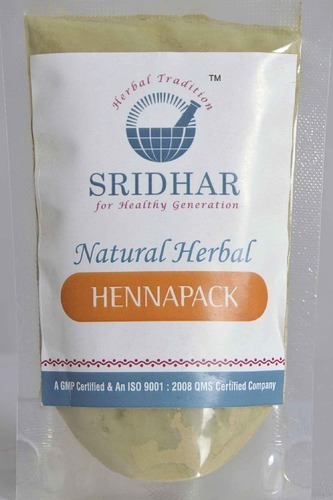 We take the pleasure for forwarding our profile for the supply of Natural Herbal Products. Endeavor to supply to your esteemed organization, we promise you to give our level the best body care & hair care products by the brand name SRIDHAR. We are enclosing herewith the samples of our products. We sincerely hope our offer is in line with your requirement in terms of cost & quality. v Incorporated as a Private Limited Company with Registrar of Companies, Hyderabad. v An ISO 9001:2008 Quality Management System Certified Company. v Obtained the Manufacturing License from the Department of Ayush, Hyderabad. v Obtained the GMP License from the Department of Ayush, Government of Telangana. v Obtained the Patent License from the Department of Ayush, Government of Telangana. v Applied for the Trade Mark Registration to the Intellectual Property of India, Chennai. v Obtained the Bar Coding Number for all the Products from the Appropriate Authority. v Packed as per the norms of Legal Metrology (Packaged Commodities) Rules’ 2011.
v Obtained Taxpayer Identification Number (TIN) for Value Added Tax & Central Sales Tax. v Obtained Current Account with Karur Vysya Bank, Pragathi Nagar Branch, Hyderabad.